As we get ready to kickoff another college football season, we wanted to share a healthy snack idea … Tasty Trail Mix! Thanks to The Academy of Nutrition and Dietetics for instituting Kid’s Eat Right Month and promoting the following helpful tips with the hopes of creating healthier kids! With childhood obesity on the rise, making sure kids eat right and get plenty of exercise is vital. Parents and caregivers can play a big role in children’s nutrition and health, teaching kids about healthy foods, being a good role model and making sure physical activity is incorporated into each day. Shop Smart – To encourage a healthy lifestyle, get your children involved in selecting the food that will appear at the breakfast, lunch or dinner table. Cook Healthy – Involve your child in the cutting, mixing and preparation of meals. They will learn about food and may even be enticed to try new foods they helped prepare. Eat Right – Sit down together as a family to enjoy a wonderful meal and the opportunity to share the day’s experiences with one another. Research indicates that those families who eat together have a stronger bond, and children have higher self-confidence and perform better in school. Healthy Habits – You can help kids form great, healthy habits by setting a good example. Fill half your plate with fruits and vegetables, choose lower-sodium options, and make at least half the grains your family eats whole grains. For beverages, choose water over sugary drinks, and opt for fat-free or low-fat milk. Get Moving – Aside from being a great way to spend time together, regular physical activity is vital to strengthen muscle and bones, promote a healthy body weight, support learning, develop social skills and build self-esteem. Kids are encouraged to be active for 60 minutes per day. Getting kids to eat right can sometimes be a challenge, particularly if they are picky eaters. But experts say that a conversation can help. “Talk to your children. Learn the foods they like. Teach them about the foods they need for their growing bodies. Find ways together to make sure they have the knowledge and ability to eat healthy and tasty foods at every meal,” says Angela Lemond, registered dietitian nutritionist and Academy of Nutrition and Dietetics spokesperson. It may help to consult a registered dietitian nutritionist in your area to ensure your family is getting the nutrients it needs with a meal plan tailored to your lifestyle and busy schedule. For more healthful eating tips, recipes, videos and to learn more about Kids Eat Right Month, visit www.KidsEatRight.org. We love this idea of Kid’s Eat Right Month! Certainly there needs to be an ongoing conversation among families and children about the importance of healthy lifestyle choices. It’s essential for kids to learn healthy habits at an early age so they can grow up with less chance of developing the chronic diseases associated with obesity. 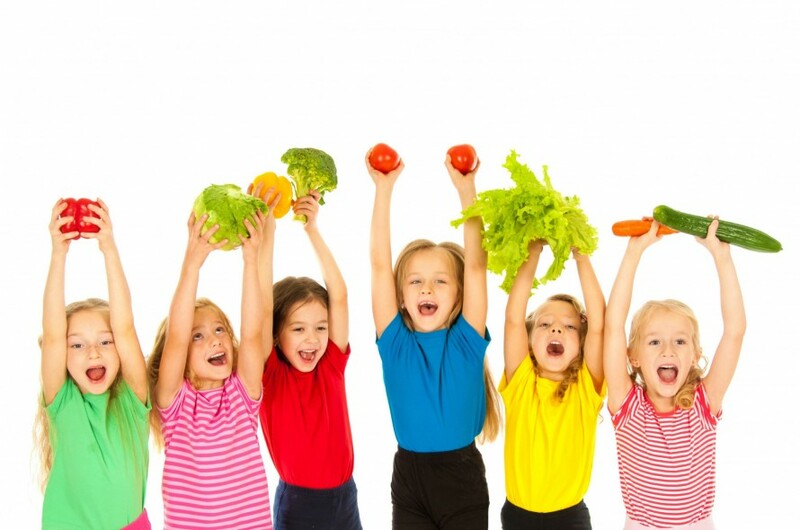 Here’s to kids eating healthy this month and every month after that! It’s back to school time and that means that you need to start thinking about your children’s lunches for this upcoming year. We are excited to share some back to school healthy lunches with you today! Although school lunches get a bad rap by some, they are in fact very healthy as USDA guidelines ensure that school lunches have a variety of different colored vegetables, whole grains, lean meats, low-fat dairy and sodium regulations for the meals served in schools. So, if you are one of the millions of parents whose children eat school lunch, you can feel good about knowing that your children receive nutritious lunches at school. OrganWise Avocado Lunch Ideas for National Avocado Day!